Rick has caught wind of the fact that Oliver’s initial interest in Aly came about when Ridge attempted to fire the Forrester photographer. Thinking he could ensure for himself job security, Oliver arguably preyed on the young, innocent and inexperienced Forrester heiress, and Rick has proof. How will Oliver defend himself? Will he be able to convince Rick that his feelings for Aly are genuine and not just a plot to hold onto his job at Forrester Creations? I don't know what to make of Oliver and his behaviour towards Aly. I can't believe he's being genuine, even if he says that his feelings for her have grown since his initial manipulation. Now Vee, I think you should be applying to B & B for a job and certainly you could try their adv ertising agent!! Going to jail? LOL, why jail? Also, I swear neighbours started asking those annoying questions before breaking for ads when I started writing questions concerning the show up here. Do you really think there could be something there? The last time I watched bold and beautiful was in the 80's. Found I enjoyed the more action packed series. After Quinn's attempted murder the other night, the action has well and truly plateaued. Although, am looking forward to Ashleigh Brewer joining the cast today. FINGERS IN EARS* la la la SPOILERS!!!! I tape the B+B every afternoon and watch it when I fold the clothes. Sadly our foxtel hasn't been taping it for weeks so I've missed LOTS!!! Anyways, my opinion is that after the way Rick treated Steffie, he'd be a bit hypocritical to turf Oliver out …. but this is SOAP LAND, and nothing it out of bounds so, onwards and upwards! And thank heavens my foxtel recordings are working again. Does it annoy you when Christmas-themed episodes don’t actually coincide with Christmas? Have you ever written a formal complaint about something you’ve seen on television? 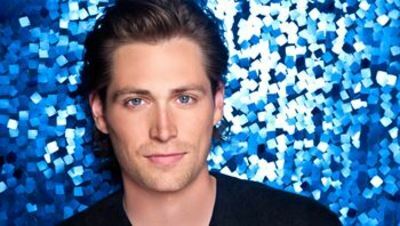 Bold & The Beautiful – Which of the two Spencer brothers do you want Hope to choose?